CALL FOR ABSTRACTS: The submission deadline is September 30th, 2018. The organizing committee of the INTERVITIS INTERFRUCTA HORTITECHNICA announce the Wine Graduates’ Forum in Stuttgart to be held at November 6, 2018, at Stuttgart. 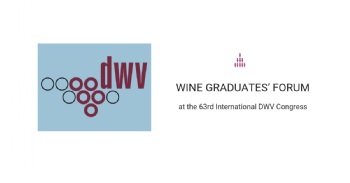 The Wine Graduates’ Forum is a satellite meeting preceding the 63rd International German Winegrowers' Association (DWV) Congress. The objective of the Wine Graduates’ Forum is to promote innovation and developmental activities among students, researchers and practitioners in wine industry. Young professionals and scientists present their project results in flash presentations. The organizing commitee invite you to submit your application through the Call for Abstracts. The submission deadline for Call for Abstracts is September 30th, 2018.